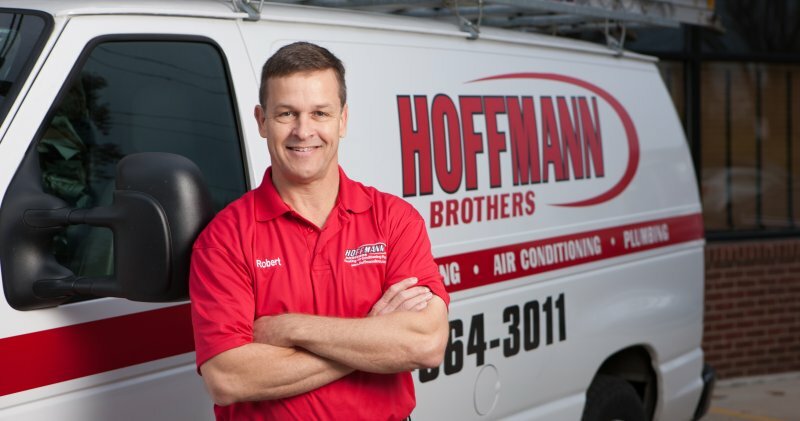 In today’s HVAC Q&A session we’re going to tackle a very important topic, mold removal. I recently read your piece about mold and how to spot it in your home, and it was extremely helpful. As you suggested, I checked out my evaporator coils, drip pan, and ductwork this weekend when I changed my furnace filter…and I found some mold! If you don’t mind spending a few dollars, there are a number of commercial mold removal products that will kill and remove mold. For safety reasons, make sure you purchase an EPA registered mold removal disinfectant labeled for HVAC use. It’s not just the mold you’re protecting yourself from, but the chemicals in the cleaner as well. When cleaning up mold, the EPA suggests wearing an N95 mask, and the team at HVAC.com suggests rubber gloves, coveralls, and protective eyewear to keep potentially harmful mold spores and other allergens from harming your body. 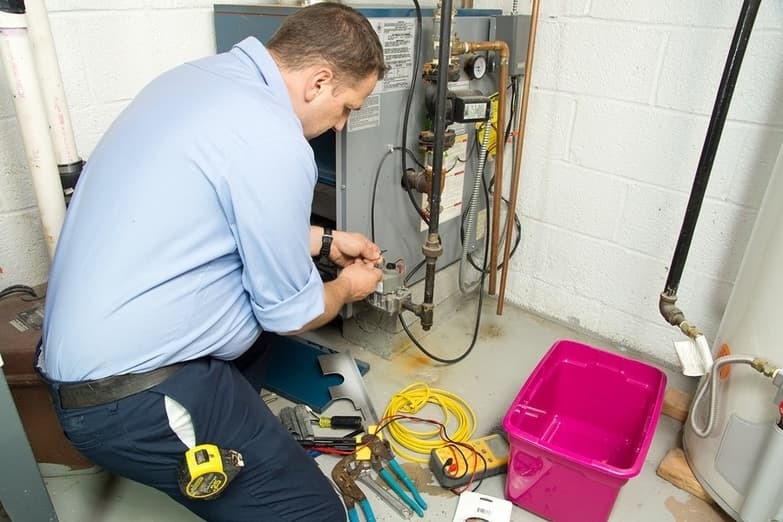 In order to access your heating and cooling units, evaporator coil, ducts, and drip pan safely, turn off your HVAC system during mold removal. This also helps to avoid spreading cleaning solution fumes and potentially harmful mold spores while you are cleaning. Scrub and vacuum the moldy areas. Now that you’ve prepared yourself and the system for mold removal, it’s time to start scrubbing. 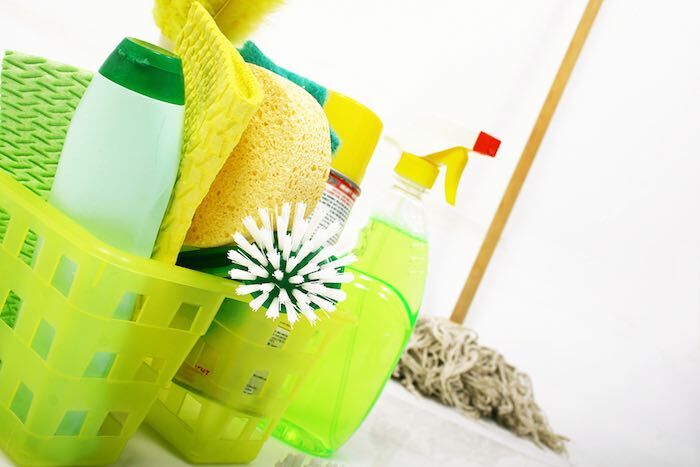 Generously apply the cleaning solution directly onto the moldy areas using a light brush, wet rag, or spray bottle, and let it sit for a few minutes. Then, scrub the area in circular motions to remove the mold. Use disposable towels to get rid of any excess solution and then vacuum the area as an added precaution. For areas with a strong mold presence, you may need to repeat this step more than once. Once you’ve gotten rid of the mold, get rid of your mold removal rags properly. Double-bag your moldy rags with 6-mil or thicker trash bags. If your furnace filters are wet and moldy, drop those in there, too. Commercial mold inhibitors can control mold and mildew growth in your HVAC system. Look for EPA registered, HVAC-approved products and apply them to all the components of your heating and cooling units (follow the manufacturer’s instructions). Keep an eye on the area. Finally, mold removal doesn’t help at all if you do it once and forget about it. Mold can grow in as little as 48 hours, so you’ll have to keep an eye on the problem areas. If mold and mildew keep coming back, you may have a moisture problem. Consider insulating your ductwork, purchasing a dehumidifier, or contacting an HVAC professional to get your HVAC system’s mold problem under control. What mold removal solutions do you use? How do you keep it from coming back in your HVAC system? Share your thoughts in the comments below.